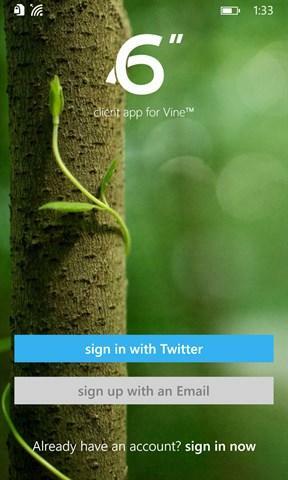 6Sec is the only full Vine client app (including upload feature) for Windows Phone. 6Sec for Vine is the best way to see and share life in motion. Create short, beautiful, looping vine videos in a simple and fun way for your friends and family to see. • Upload Vine • Find, follow, and interact with people close to you. 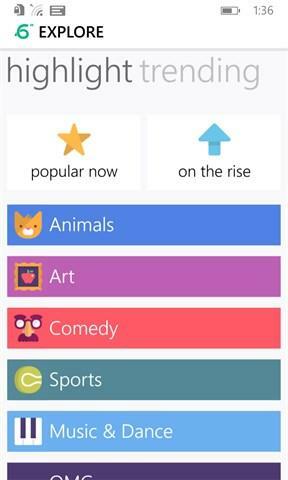 • Explore trending Vine posts, featured hashtags and channels. • Search Vines using hashtags. • Share Vines to Twitter and Facebook. • And so much more! The "upload vine" feature requires a big--and expensive--dedicated server to encode videos and make them compatible with the Vine service. This feature is available through an inexpensive in-app purchase. You will be able to test the service two times for free.